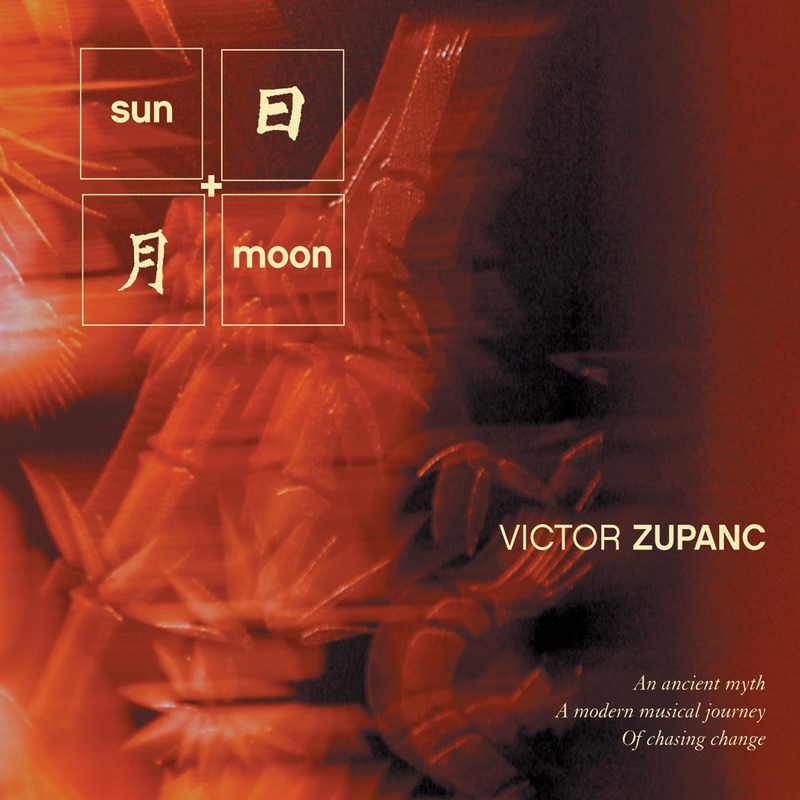 Sun and Moon was commissioned and composed to accompany a full-length dance drama. The story is based on one of the oldest Chinese books, Tales of Mountains and Seas. The legend has it that a man named Kuafu died of thirst and heat on his journey chasing the sun. His cane turned into a peach grove where other travelers could quench their thirst with peaches. Embedded in the story is humankind’s shared dream: to understand the universe. The music follows Kuafu on his journey and many exciting adventures, from his battles with earthly elements to his extravagant dance with the planets, his love affair with the moon and eventually his confrontation with the burning sun. The initial ideas in creating the music came from traditional Chinese music. Many traditional elements were used and imitated. However, the music has taken on a life of its own becoming very contemporary and electronic, at times dissonant or harsh, and at other times quite melodic and meditative. Influences in the music include traditional Chinese flute and pipa music, Steve Reich, Peter Gabriel, Claude Debussy, Gyorgy Ligeti, among others. Zupanc is the music director of the Tony Award-winning Childrens Theater Company in Minneapolis. He has also written music for feature films. His knack for mood, timing and drama are without equal. If you want a sophisticated musical tale of mystery, flying geese, star gazing and human struggle, all without sitting through a long movie with subtitles, “Sun and Moon” is definitely for you (and the whole family).